The Wolf Cub Scout program is based around the book by our founder, Lord Robert Baden Powell, Scouting for Boys. The characters are based on the book by Rudyard Kipling called the Jungle Book. A copy of The Jungle Book can be found below. 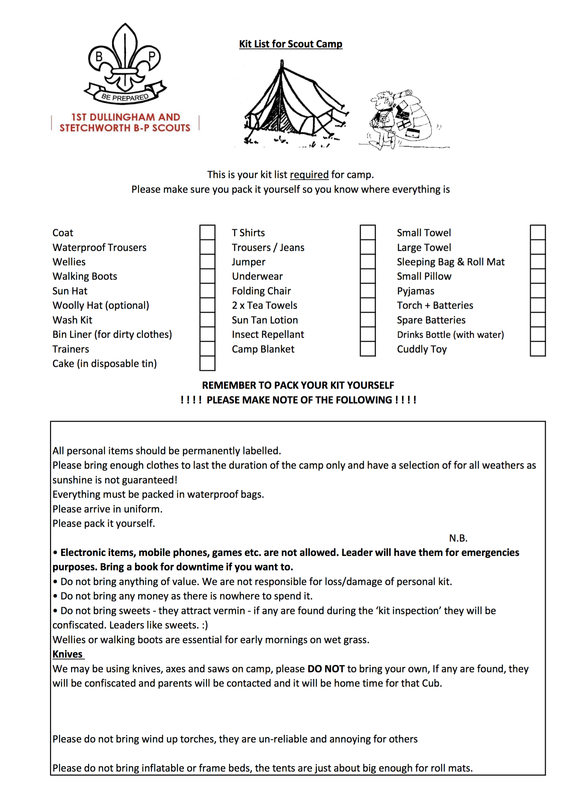 Also below is the list of kit your Wolf Cub should take on camp. Please make sure they pack the bag themselves!